I am trying to do this same thing, but I don't know how to get to the image wizard? This is all I can get to, and I can't see a way to delete the image. I see you have another thread that seems to be a similar issue, here's the link to the other one: https://www.jotform.com/answers/951780. However, on that thread, the current issue is that you are unable to upload images properly. 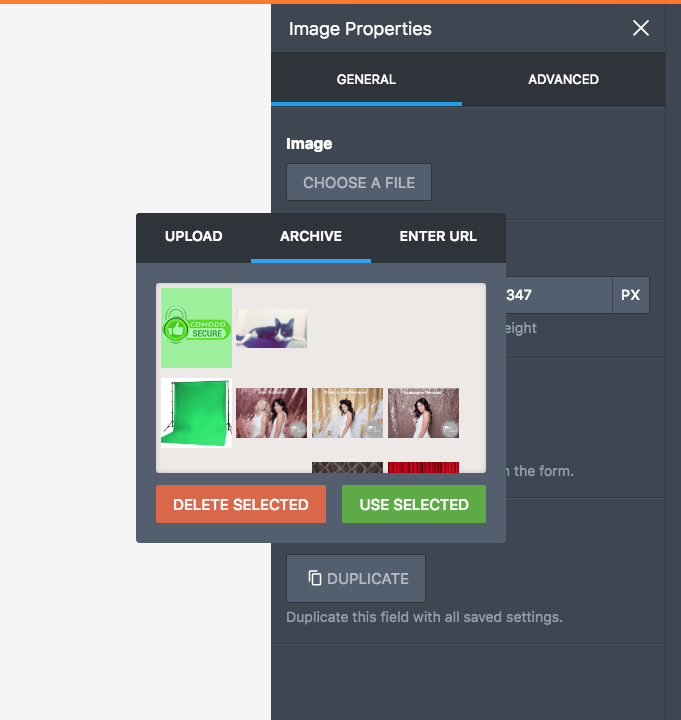 On this thread, you are asking how you can delete recently uploaded images, is that correct? You can see this window where you can actually delete images. 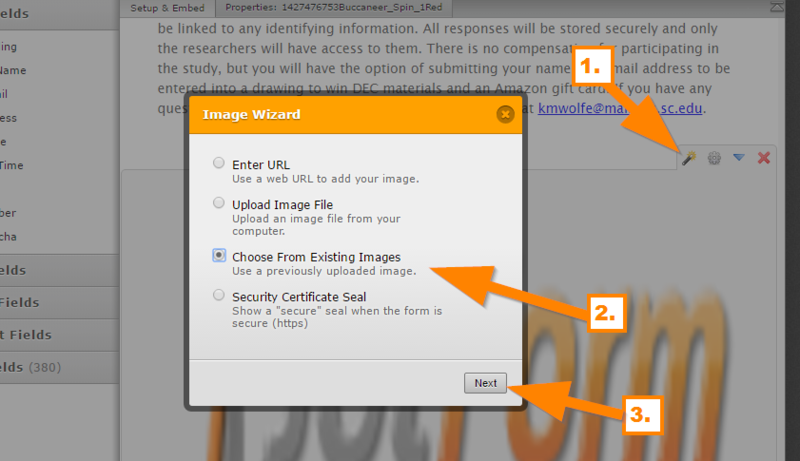 Let me forward this to our developers, it seems like the that option is missing in the new Image wizard. We will update you as soon as this has been fixed. 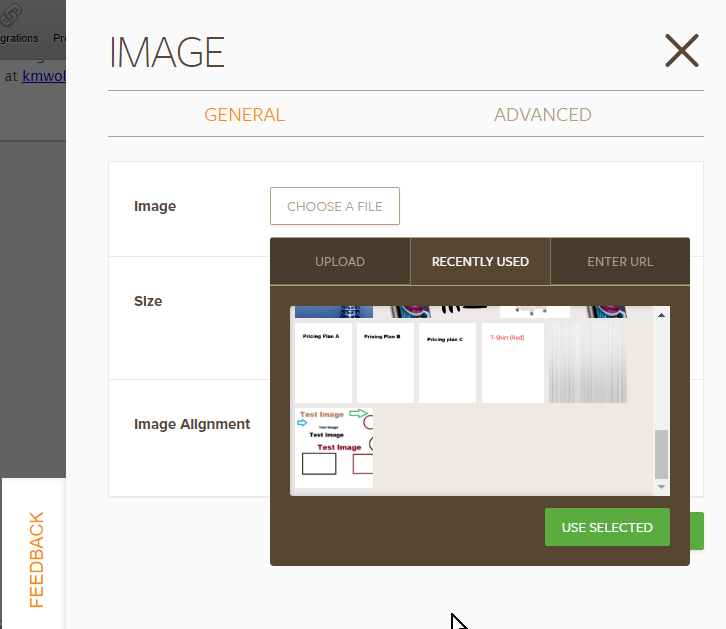 PS: Your screenshot did not went through here in our forum, it shows a broken image, there seems to be a problem that may be related in your connection where files are failing to upload. Thank you, I am still having great difficulty with images and will submit a new thread. I see, thank you for updating. We'll respond to the thread you have opened for that specific issue. 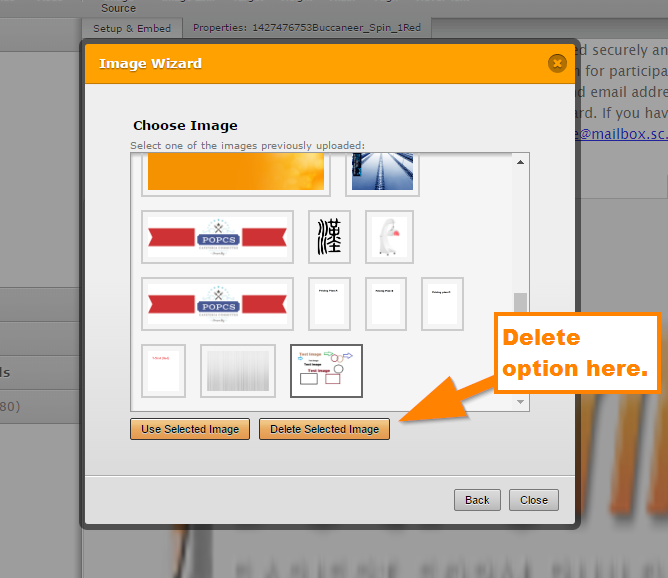 Deleting already uploaded images is supported now on the new image field wizard. When you click on any of the uploaded file under archive section, "Delete Selected" button appears. We hope this helps you. If you need any further assistance by our side, please do let us know. We would be pleased to assist you for any issue you may have.